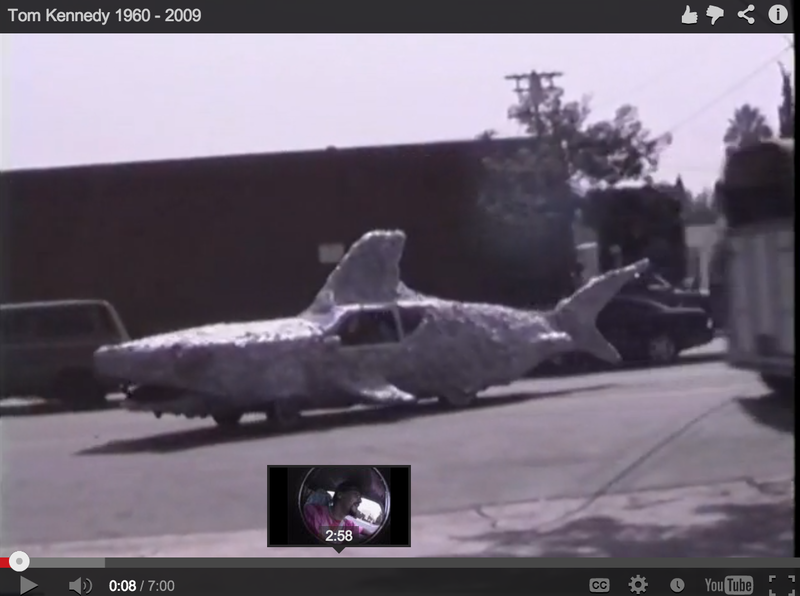 Tom Kennedy evangelized art cars all over the US (building more the 40 of them), and was fundamental to the creation of the Orange show in Houston, Texas. The Orange show is now the largest art car event in the world with 200,000 attendees. 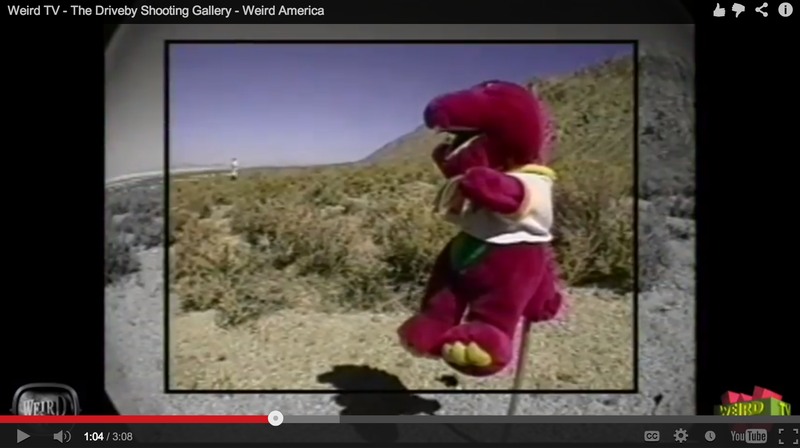 This video is from Weird TV on Tom. As the bumper sticker says: Never Forget Tom Kennedy. He brought many great art works to this world, always fun to hang out with, was politically active for positive causes like Bikes to Bosnia, and achieved an incredible amount in his time. 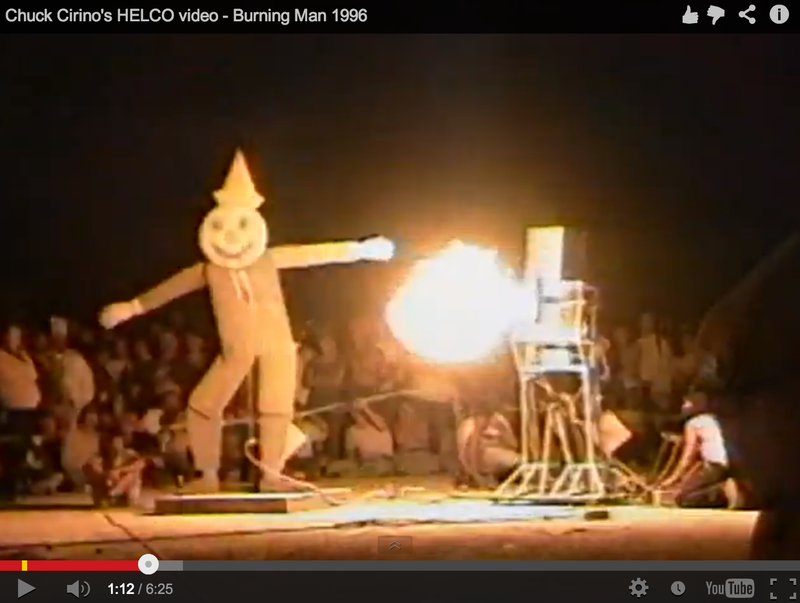 The 1996 theme at Burning Man was Helco – with the elaborate staged event organized by Kal Spellitch and many many helpers. This Weird TV segment gives a inside lok at the art and mayhem of that year . In the Black Rock Desert the Drive by Shooting Range took place, Weird TV was there to document the fun combination of art object destruction and hand held artillery. 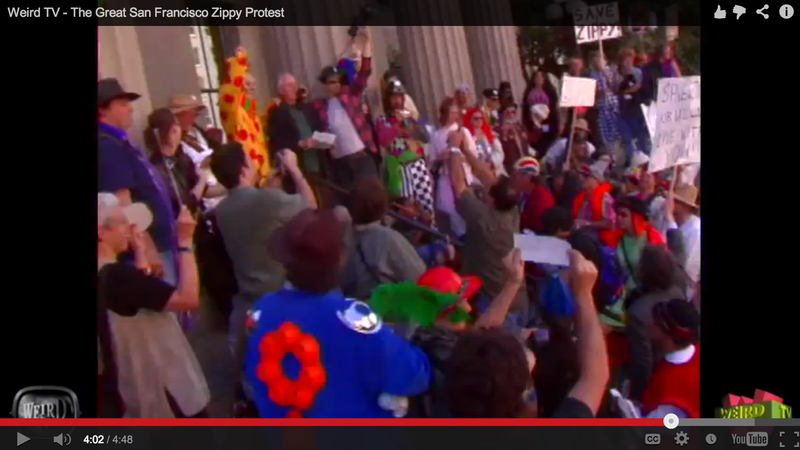 The great Zippy the Pinhead protest to restore the Bill Griffith cartoon to the San Francisco Chronicle, led by Bishop Joey and the 1st Church of the Last Laugh as documented by Weird TV. 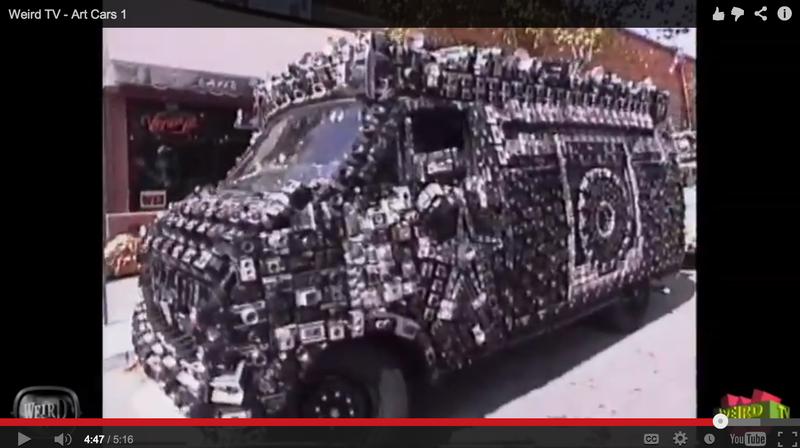 There are so many art cars, so much amazing footage from Weird TV. Here are two segments from the show highlighting this American art.